May I clarify before there are any misunderstandings as we have received numerous comments on this issue. 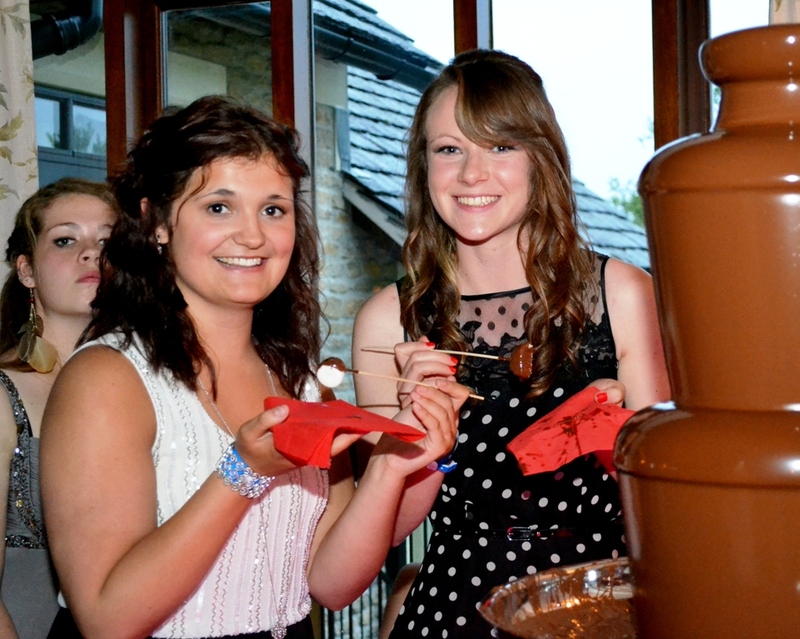 This particular chocolate fountain hire was not conducted in a bath, as some may think, but was a chocolate fountain school prom hired near Bath, Somerset. OK! That cleared up! It was a last minute request, it was a Tuesday and we were just recovering from a full weekend of hires up and down the country. Chocolate Fountains R Us and chocolate Fountain Hire GB cover most areas of the UK and Bath, Bristol and the Avon is no exception. Chocolate Fountains are a great way to celebrate, an alternative to that boring hotel desserts pur out in boring cutlery. They are always a talking point and an ice-breaker at any event and guarantee to get the conversations flowing and of course, put a smile on everyone’s face. We were familiar with the event location as we had done events here in the past. Staff are great and super helpful and as soon as we had arrived, a well-positioned table awaited us along with a matching tablecloth. Despite the incessant rain, out of character for this time of the year, droves of eager students, swarmed the fountain, with familiar questions and hopes of an early start. Here at Chocolate Fountains R Us and chocolate Fountain Hire GB, we have had years of experience with attending University, School Leavers’ and Graduation celebrations, Proms and School Leavers’ Balls. From Southampton Uni, to Cambridge Uni to Sixth-Form to GCSE exam result Proms, we have something for you. Browse our Blog to see just a few of the excited and happy faces. Contact Us or simply use our contact pages, or call us for a friendly chat on 07816200045.